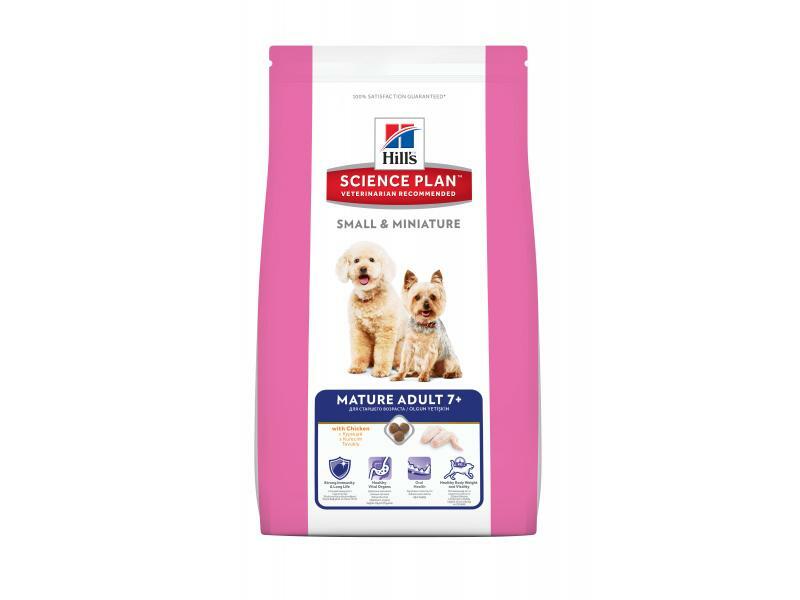 Hills Science Plan Small & Miniature Mature Adult has a unique formula with controlled minerals to help maintain your little dog’s healthy vital organs. Our food is made with only the highest quality ingredients to support active mobility, with a great taste your small breed dog will love! Clinically proven antioxidants to support immunity for small breed dogs’ healthy long life. Unique formula with controlled minerals to help maintain healthy vital organs. Crunchy, tasty kibbles formulated with antioxidants to support oral health of small breed dogs. Formulated with L-carnitine and high quality protein for lean muscles and active mobility. The trial pack consists of a 300g bag of Science Plan food, £4 coupon off next purchase, flashing light tag and measuring cup. There are currently no questions for Hills Science Plan Small & Miniature Mature Adult Dog Food - be the first to ask one!